There is no doubt about the fact that technology has taken over the world and therefore, the internet has taken over the world. Right now, more than half of the world’s population owns a mobile phone and a laptop or a computer which is great. However, there are always some drawbacks to these digital devices and where we all discuss the benefits and blessings of technology, we should also talk about the disadvantages with which it comes. 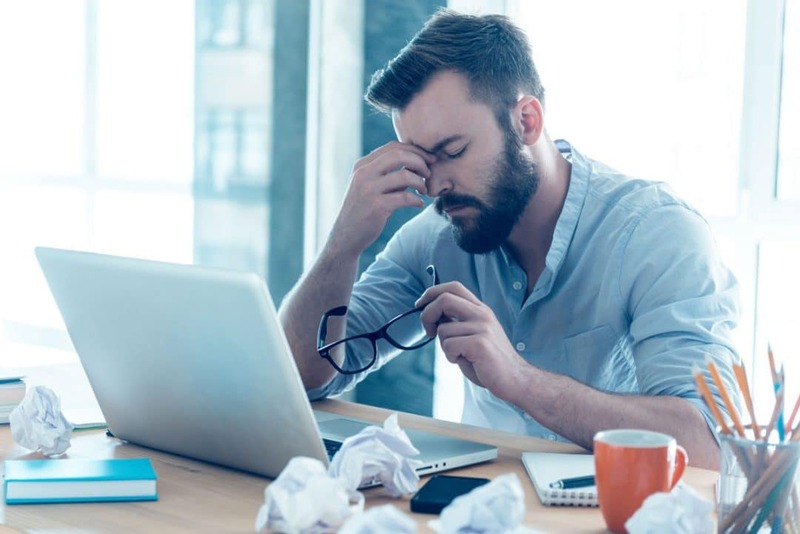 One of the biggest disadvantages of these digital devices is that they are continuously damaging our eyes causing various stabbing pain in the eye. Yes, you read it right and the worst part is that people with nearsightedness and farsightedness are growing rapidly in number. As a result, people now have to rely on contact lenses and glasses in order to see clearly and honestly this isn’t something that can be called or considered “healthy”. Every day we read several blogs and articles where people are discussing different ways to lose weight and maintain a healthy body but then think about it yourself, will be you be a healthy person if you aren’t able to have a proper eye health? 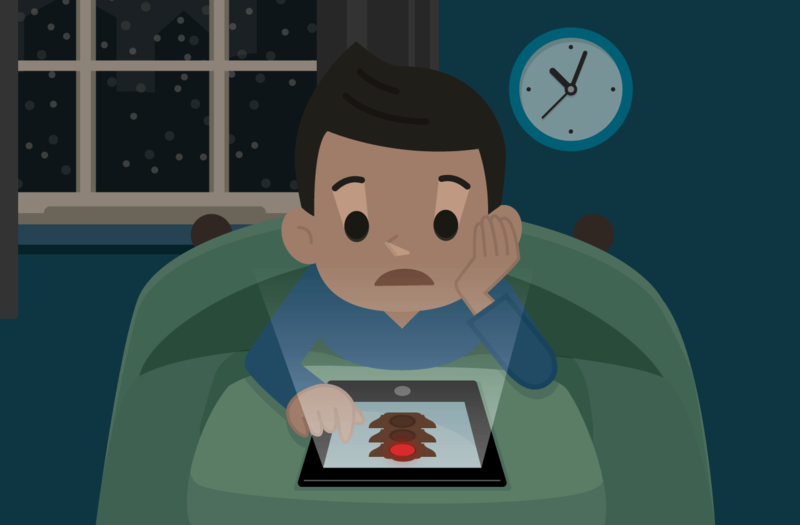 The screen of your monitor and your phone is continuously emitting blue light. According to resources about the technology of blue light by Wikipedia, that light is so far the most dangerous thing for your eyes as it can cause eye pain and redness. If you observe a little, you will see that most of the people in your circle who wear glasses and lenses are the ones who use laptops and phones 24/7. Well, the message is pretty clear that the harmful blue light coming out of your screen is not at all healthy and the sooner you realize it, the better it will be for you. Another disturbing fact is that people are now rapidly falling victim to different ocular diseases and things are getting worse with the passage of time. For this reason, it is high time that we start thinking about our eye health too because again, there is no point of looking slim and trim when you cannot even see the things around you clearly. Furthermore, you should be thinking about how to treat eye muscle pain of yours. What To Do About The Blue Light Harm? Now, we will obviously never ask you to stop using all your digital devices because it is but a fact that these devices have now become an integral part of our lives and we just cannot live without them. However, thanks to the technology again that we do have some alternatives that can make these screens healthier for our eyes. Yes, you read it right, right now if you search on the internet, you will see that there are a lot of applications and blue light filter softwares out there that can help bock the dangerous blue light coming out of your screen. 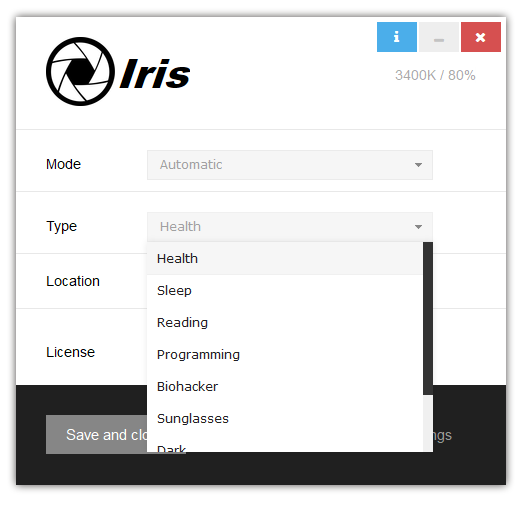 One of the best screen brightness dimmer software for your eyes is Iris. The software comes with the sole purpose of protecting your eyes from being damaged by the different reasons for eye pain. The thing is that our eyes are the most sensitive part of our body and therefore, it is quite important for us to take care of them or else we can even up losing our vision forever. 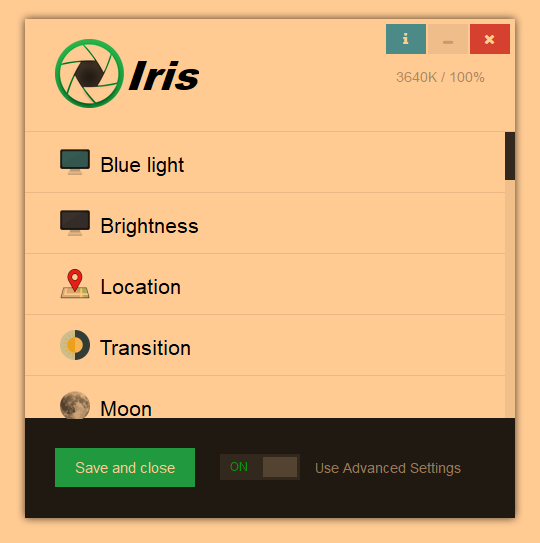 Right now, a lot of people in the world are using Iris on their phones and their laptops because this software is pretty effective in adjusting your screen brightness. With it, you will never feel any strain or stress on your eyes and above everything, you will be able to sleep well. So, without wasting any further time, download this blue light screen filter app software and install it on your screen right at the moment and we assure you that you will never be disappointed with the results. It’s the best software for those who really care about their vision.